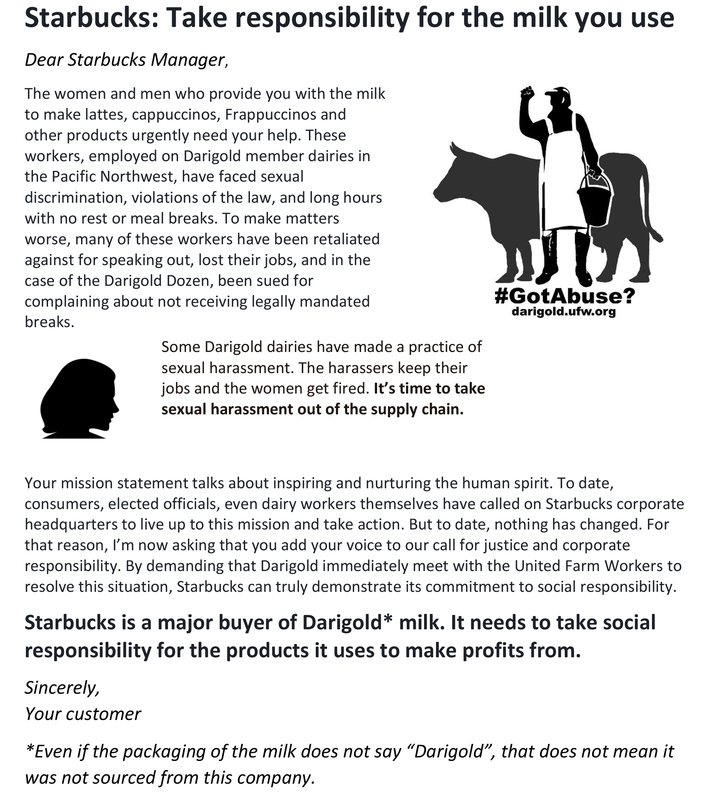 Starbucks is a major buyer of Darigold milk. They need to take social responsibility for the products they use to make profits from. We can help amplify the workers’ message to Starbucks if stores throughout the country contact corporate because their customers let them know they are concerned about this issue. Thank you again for caring.